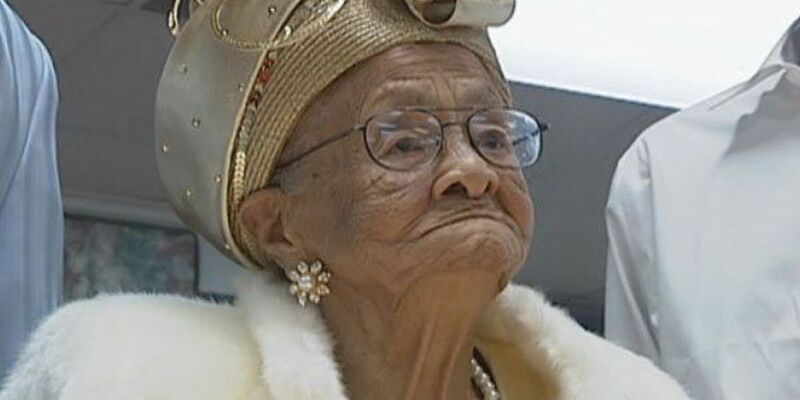 BAYWOOD, LA (WAFB) - A woman who was featured in a story when she celebrated her 110th birthday has died. Josephine Anderson Guy died at her home in Baywood, which is in East Baton Rouge Parish, on Monday. She was 111. Visitation will be held Saturday from 11 a.m. until noon at New Hope Baptist Church. The funeral service will begin at noon. Guy will be laid to rest at Hollygrove Cemetery in Zachary. The mother of six children was a native of Mississippi, but lived most of her life in Baywood. Guy was born on Jan. 3, 1904. Teddy Roosevelt was elected president of the United States, construction started on the Panama Canal and the first New Year's Eve celebration was held in Times Square the year she was born.